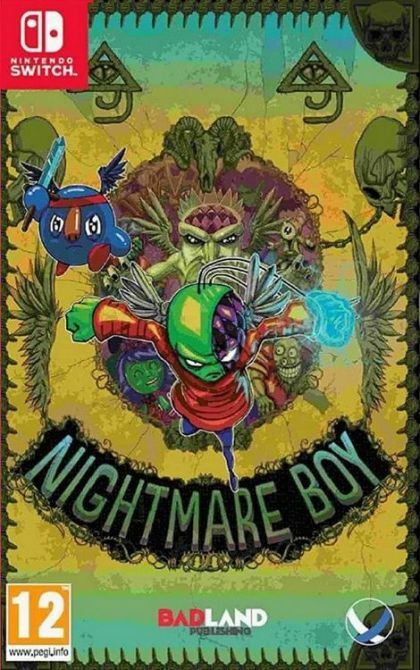 This metroidvania from The Vanir Project retains all the essence and playability of the original Nightmare Boy, as well as many of the improvements that the first version has been adding over time. The versatility of the Unity engine has allowed the developers of The Vanir Project to render the game on Nintendo's console in a way identical to the original version, without leaving anything out in the port. Now you can take on Billy's terrible nightmares at home, in front of the TV, and anywhere else thanks to Nintendo Switch portable capabilities. Nightmare Boy mixes cartoon visuals with classic 2D pixel art. Every asset in the game has been crafted by hand by Juan Garcai, a visual artisan, graphics designer from The Vanir Project. The game mixes adventure, exploration and platforms, and adds some classic metroidvania mechanics: big scenarios, splitted into different zones, most of them only accesible after getting the appropriate weapon or item. The Vanir Project has added a new element to the mix: you'll have to spend gems collected during the game in each save point, rewarding the boldest players while punishing the ones that saves all the time. The game by The Vanir Project mixes a graphic style reminiscent of the golden age of arcade games, a storyline suitable to all public, with plot twists only adults will understand, and platforms, exploration and "Metroidvania" mechanics. Nightmare Boy soundtrack has been composed by Vic Hernand, musician and composer with a degree in History and Science of Music with also Production studies on the renowned Berklee College of Music. Platforms, adventure, exploration and "Metroidvania" game mechanics. "Artisan" graphics, halfway between cartoon and 90's arcade games. A nightmare world full of enemies and final bosses, but with a lot of NPC's that will help Billy on his adventure.